Apple Pencil Sharpener Only $4.44 SHIPPED! You are here: Home / Great Deals / Amazon Deals / Apple Pencil Sharpener Only $4.44 SHIPPED! I have another fabulous deal on a cute pencil sharpener for you! 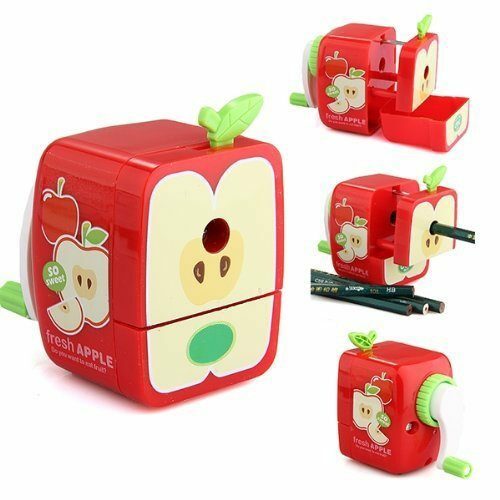 Get this really cute Apple Pencil Sharpener for just $4.44 with FREE shipping! I am LOVING all these cute pencil sharpeners we’ve seen! Don’t forget to check out this ADORABLE Kiwi Pattern Pencil Sharpener we told you about as well!